Tin Lizzy's to open new locations in East Cobb and Duluth. Fresh off their successful opening in Kennesaw, Atlanta-based Tin Lizzy's Cantina, purveyor of "Flex-Mex" fare, has signed leases on new locations in Duluth and East Cobb. In Duluth, Tin Lizzy's is opening in the former Loafing Leprechaun restaurant adjacent to the Arena at Gwinnett Center on Sugarloaf Parkway. The freestanding 5,700 square foot restaurant sits on about two acres with plenty of parking. Tin Lizzy's expects to have its Duluth location open "in November." In East Cobb, Tin Lizzy's will occupy a 2,750 square foot space in an endcap location within Woodlawn Square on Johnson Ferry Road. The center is anchored by The Fresh Market (former T.J. Maxx) and is also home to J. Christopher's and Common Quarter restaurant. Tin Lizzy's expects to have its East Cobb location open in "early 2015." 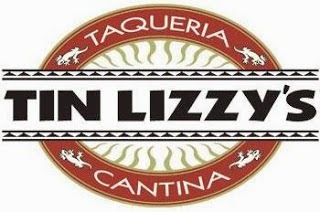 Tin Lizzy's started in Buckhead in with its original location at the corner of Piedmont and Roswell Roads. In the years since, the chain has grown to include seven locations across metro Atlanta. New locations are rumored to be in the works for Alpharetta, south Forsyth and Augusta, in addition to what could be the chain's first out of state location in Charleston, South Carolina. Where would you like to see the next Tin Lizzy's open? Which Tin Lizzy's location is your favorite? With bartaco opening in Buckhead, near the original Tin Lizzy's, where will you patronize? That East Cobb spot will be interesting. Common Quarter took over for a horrid Chepe's that nonetheless did some biz, even with all the other faux Tex-Mex in the corridor. If the margaritas are cheap enuf and strong enuf, it'll find a following among all the closet alcoholics in the neighborhood. If they continue to expand at this rate, they will run out of awful Dave Matthews and Bon Jovi cover bands to perform for patrons. THE HORROR! SO EXCITED!! I work right around the corner and The Mall of GA location was too far to travel for us to eat lunch there. The company I work for has 1600+ employees and I know we'll be the 1st ones in line! GREAT IDEA & LOCATION! Can y'all tell I'm excited? LOL!